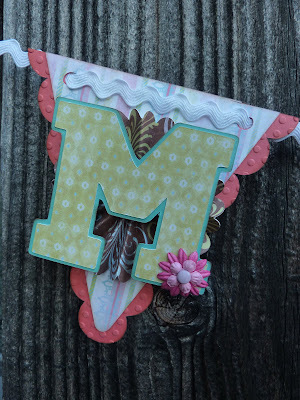 It seems as if banners are all the rage right now, and I couldn't wait to try making one of my own for my Creative Critterz Imagination I-Team post this week. My niece is turning 6 in a couple of weeks, and I thought it would be really fun to make a birthday banner for her using my two favorite new cartridges: Birthday Bash and the Yummy Imagine Cartridge. They go together perfectly! The hardest thing about this project was getting a good picture of it at the end! Be sure to click on the above picture to get a closer look. I began by cutting out the banner pieces from Birthday Bash. They are cut at 5" relative size. 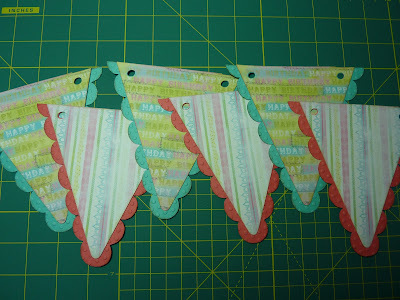 The bases were cut in Papertrey Ink Berry Sorbet and Hawaiian Shores Cardstock and run through the Polka-Dots Cuttlebug folder. 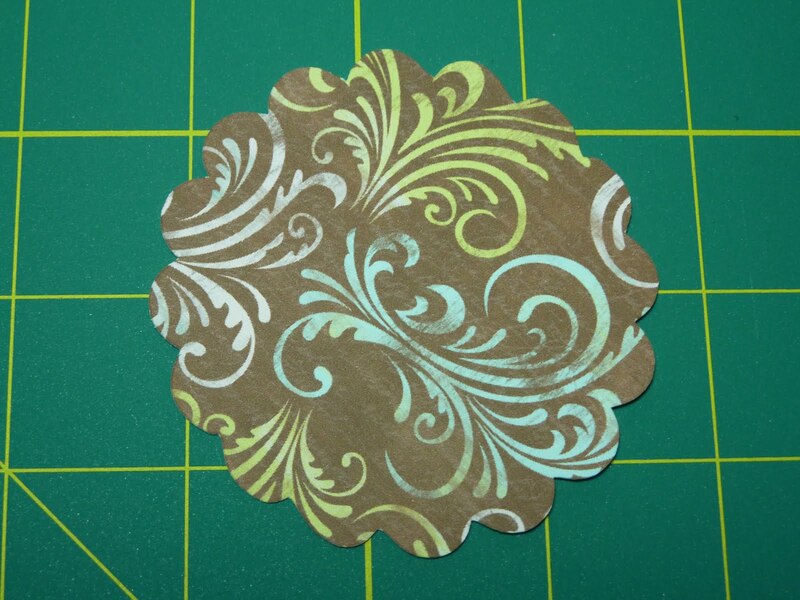 The printed layer is flood filled with patterns from Yummy and cut on Bazzill White Cardstock. 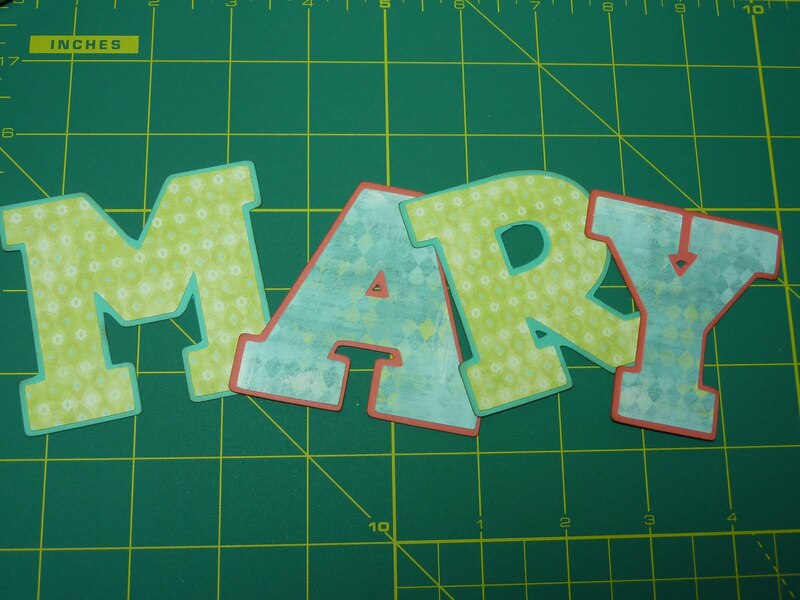 Next I cut out my letters from Birthday Bash at 2.8" relative size. 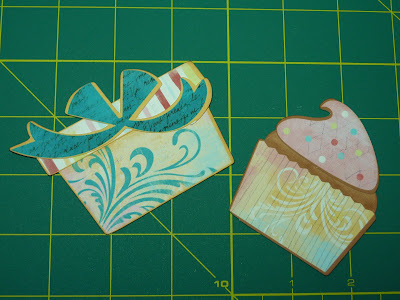 Again, I used Yummy patterns to flood fill, and used the same PTI cardstock for the shadows. For my end pieces, I cut this cute present and cupcake at 2.8" relative size. I used the layer feature and assembled the pieces. I found a very cool way to make medallions on Nichole Heady's Papertrey Ink Blog. 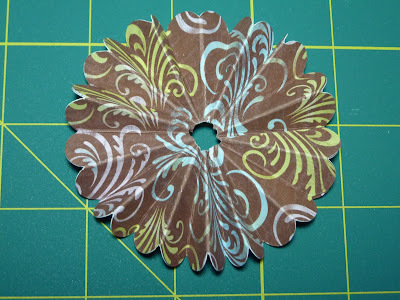 To do so, I needed to cut twelve of these scalloped circles from Mini Mongrams at 3" true size. They are also flood-filled with a Yummy pattern. 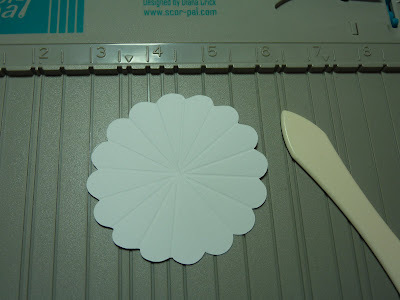 It takes two scalloped circles to make each medallion. I scored each scalloped circle 8 times, as shown above. 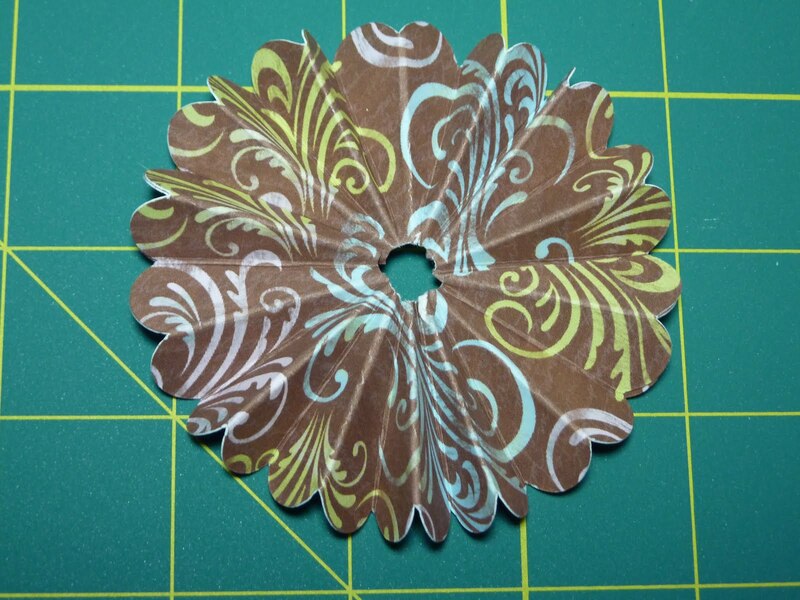 Next, I folded each in half to punch a 1/8" hole in the center. After that, I cut along one score mark, just to the center hole. Then it was time to fold! 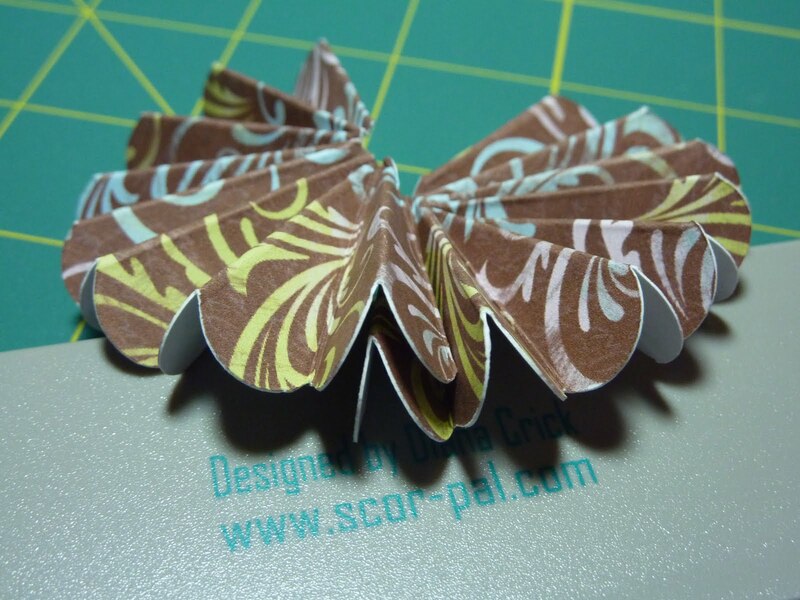 I had to be sure that my first fold was a mountain fold for it all of line up correctly. 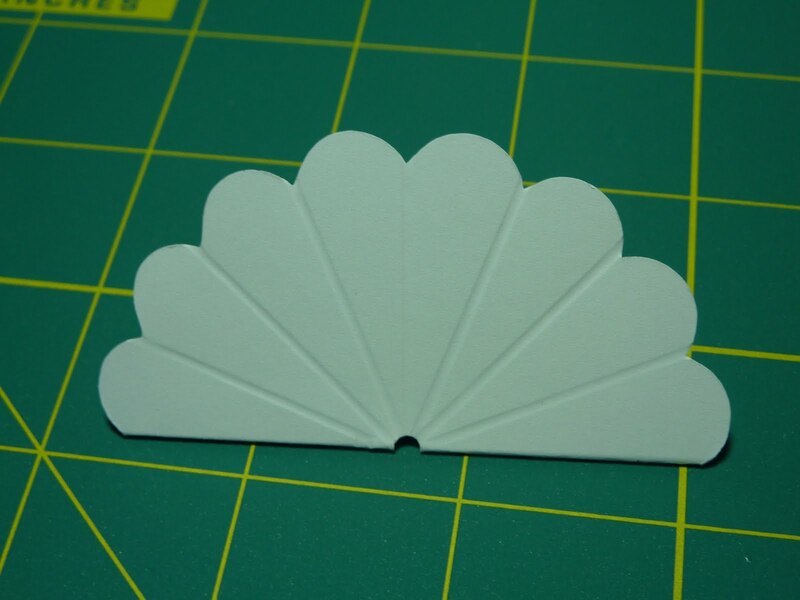 Once I had two folded, I was able to put adhesive under the first and last mountain fold of one of them, and attach them together as shown above. Here is a finished medallion. I used my glue gun to attach the medallion to my banner and my cupcake to my medallion. I topped off my cupcake and present with PTI buttons and Rustic Jute Twine. The adorable ribbon stringing my banner together was from Joann Fabrics (Wrights brand). To top off some of my letters, I added Prima flowers and Recollections Brads. Having my Imagine to make this made it all so easy! I love knowing that all of my patterns will coordinate, and it is really fun to use the original Cricut cartridges with the Imagine patterns. I think my niece will love this! Thanks for visiting, and be sure to stop by the Creative Critterz Imagination I-Team blog to see what my talented teammates have posted this week. These ladies really know how to think out of the box! katie! 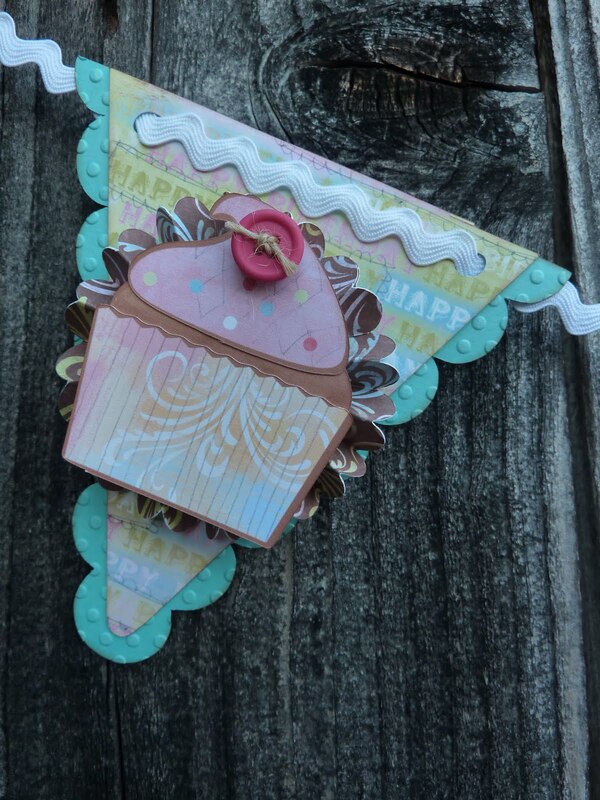 this is so cute...I love the texture of using the rick rack ribbon! I never would have thought to string it with that! 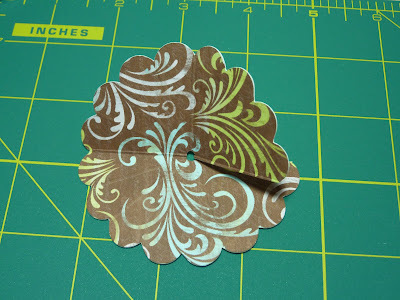 also great idea with the medallions, those can be such a pain, but you made it look so easy! Great job on the banner, Katie! 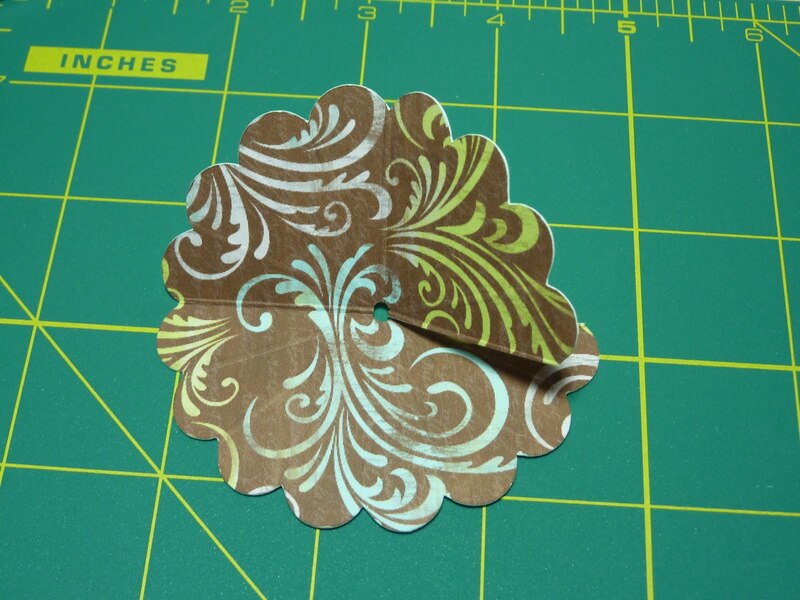 Thanks for sharing the how-to on the medallion... I'll have to try one of those! Beautiful banner! Thanks for the directons on the medallion, I always wondered how to make those!